VietNamNet Bridge – The Convention on International Trade in Endangered Species of Wild Fauna and Flora (CITES) left Viet Nam and Mozambique in no doubt that they must crack down on the illegal rhino horn trade within a year or face the threat of sanctions. With illegal and unsustainable trade endangering wildlife across the world, governments at the 17th meeting of the Conference of the Parties (CoP17), which closed in South Africa on October 4, united behind a series of tough decisions to provide greater protection to a host of threatened species and bolster efforts to tackle soaring levels of poaching and wildlife trafficking. Specifically, key decisions and announcements were made around species that are traded across the Greater Mekong Region, including ivory, rhino horn, pangolins and tigers. 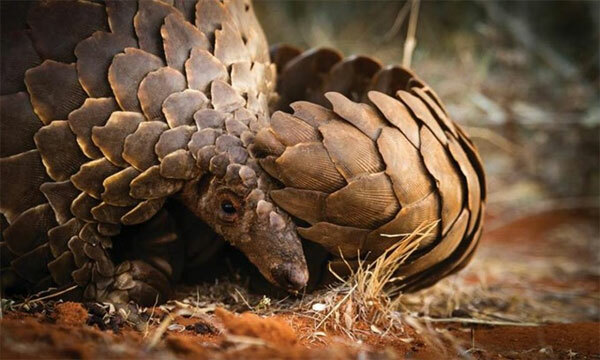 Gathered in South Africa for the world’s largest ever wildlife trade meeting – CoP17 to the CITES – more than 180 countries voted to maintain the international ban on trade in ivory and rhino horn, while adopting global bans on trade in pangolins and African Grey parrots. Viet Nam is a major destination for rhino horn, which drives poaching of hundreds of rhinos a year, especially in South Africa. Countries at the Conference also called on nations where there is a legal domestic ivory market that is contributing to illegal trade – such as Thailand -- to take all necessary legislative, regulatory and enforcement measures to close their markets as a matter of urgency. The Government of Laos announced it would phase out its tiger farms – a welcome move that will ensure the 700 tigers in Laos farms will not end up feeding the illegal trade in tiger parts. Eventually, this represents a significant opportunity for Laos to return to the prestigious list of tiger-range countries by investigating the potential for releasing some of these tigers in National Biodiversity Conservation Areas -- “rewilding” the forests of Laos. “With much of the world’s wildlife threatened by poaching and unsustainable trade, governments took bold action in Johannesburg and there were major successes on ivory, rhino horn and tigers,” said Teak Seng, WWF-Greater Mekong Conservation Director. Along with calling for the closure of domestic ivory markets that are contributing to illegal trade, countries backed the CITES-led National Ivory Action Plan (NIAP) process, which identifies countries that are weak points in the illegal ivory trade chain, and is central to efforts to halt the ivory trade. “There were some gruelling negotiations at this conference but the final outcome is a stronger global wildlife trade system and greater commitment by countries to act and, critically, to hold others to account,” said Theressa Frantz, WWF Co-head of Delegation to CITES CoP17. The Vietnamese Government pledges to eradicate illegal wild animal trading and make every effort to combat all wildlife-related crimes. Deputy Minister of Agriculture and Rural Development Ha Cong Tuan stressed at the conference that after more than two decades since joining the CITES, Viet Nam has made significant contributions to the international organisation, citing that in free trade agreements signed with its partners, the country always commits to addressing wildlife trafficking. With its efforts made over the past ten years, Viet Nam has succeeded in cutting the demand for rhino horns, with a reduction of 38 per cent in the last three years, he said. The Deputy Minister said that Viet Nam would host the 17th and 18th international wild trade conferences (IWTC) in Ha Noi this November.